Who thinks that Irish music started and stopped with The Dubliners, a surprise awaits there are now lots of nice (young) new Irish bands like The Kilkennys, Cûig, Dubh Linn and the Keltic Kats. 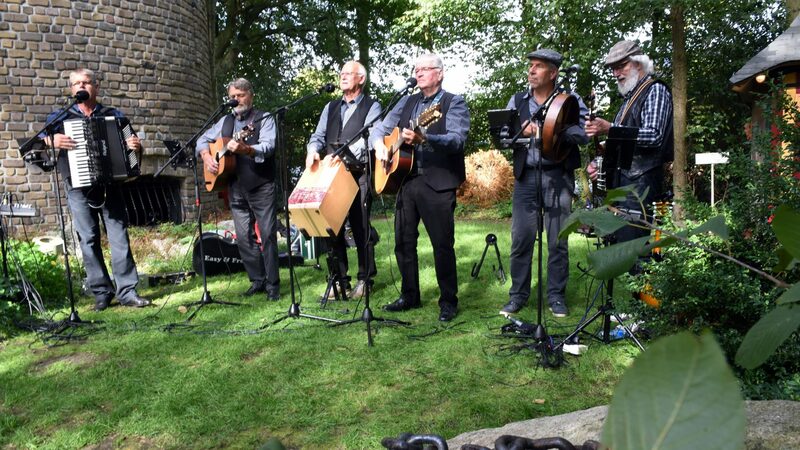 Irish music is still fun and very cozy, so some, six, men from Giethoorn and surroundings started in 2015 with a group that was going to make Irish music. The men from Easy & Free Bert1, Jan, Klaas, Andre, Bert2 and Roel have years of experience and played for over 100 years in various bands, choirs or orchestras, each in its own way. In 2015 they came together in Grandcafe Fanfare and it was quickly settled, so Easy & Free was born. 2015 was used to build up repertoire, and a single performance was done in Putten, a shanty Cafe. That was very well received, and in 2016 came the first performances in the country, acoustic in pubs, at Folk or Maritime festivals, as a theater program, but also at parties and parties. The men know with enthusiasm to create an atmosphere that instantly reminds you of the Irish pub at its best, the beating heart of the Irish villages and towns. 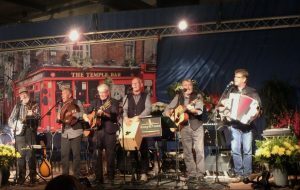 In a full evening program, they perform a mix of old and new material, such as’ The wild rover ‘,’ Dirty old town ‘, Whiskey in the jar’ and ‘The Irish rover’. Delightful folk classics, performed by delightful variety musicians. All six men play various instruments, accordion, flute, guitar 6 and 12 string, mandolin, various banjos, bodhran and cajon. Sing the songs in multiple voices and all six also sing solo songs. The music is mostly from Ireland, Scotland, but also from North and South America and New Zealand. Nor, of course, are the instrumental Rigs and Reels missing.